Over on Twitter, I just read about a ban the plastic bag petition, started by The Greenhouse Neutral Foundation. On Saturday September 26 2009, The Greenhouse Neutral Foundation will call for the world to BAN THE BAG. Their vision is that by the turn of the clock at midnight on December 31st 2010 disposable plastic carrier bags will be BANNED forever globally. Just imagine what that could look like; what a celebration to bring in the new year with! As you might be aware, it was seeing the plight of marine life that made Mr Green declare us a plastic bag free family, just one short year ago. The U.S. goes through 100 billion plastic shopping bags annually. An estimated 12 million barrels of oil is required to make that many plastic bags. Australia, a country of only some 22 million or so, consumes about 6.9 billion plastic bags each year, that’s 326 per person. By signing this petition today you will have taken a simple step to eradicate further damage to our planet. Nervous about life without the convenience of disposable plastic bags? 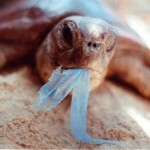 Read our reduce plastic carrier bags article for help. Described by the Minister for the Environment as a man of vision, persistence and determination, Rob Williamson is the Chair & Founder of the Greenhouse Neutral Foundation. In 1997 he was told by Waste Management Authorities in Australia that plastic being dumped into landfill caused no environmental damage. However, in a landmark research project initiated by Rob and his family they presented their findings on the environmental impact of disposal of polypropylene in Australia. They found that 1.8 million barrels of oil, 2496 million litres of water and 23,520 million M/j of embodied – consumed energy were required annually to create the 240,000 tonnes of polypropylene used in Australia. Help spread the word folks, email this to your friends, tweet about it, blog about it and stick it on your facebook page. How to save the world; according to an eight year old Do you really need a disposable, plastic carrier bag? signed the petition and also put a link on my facebook page and my blog. Only snag was I had to use my alternate email as it said my main one was too long. Signed, blogged and will twitter later on. Just got to sort out some things for rehoming here…. Signed the petition yesterday, about time, I have always hated these things. I signed yesterday as well but looked over the list today and was appalled to see so many pro- plastic bag votes, though thankfully a minority. The problem with such polls is that an unrepresentative group, eg from the plastic industry, may swell the number of pro votes simply to undermine the aim of the vote. Possibly a better poll would ask for personal information, eg Zero Wasters, plastic industry type, supermarket employees. Verification of such details would prevent false details being used. Have signed up. Went to Morrisons earlier (an unplanned impromptu visit) on my way back from somewhere else, having remembered there was no milk, fruit etc, and it being after 6pm. Realised I had no reusable shoppers in the car, had to buy another large reusable shopper in the supermarket, but rather spend another few pennies that have the dreaded carriers. I am just going down to the car to put half a dozen shoppers in there so I won’t get caught out again! Thanks all for signing; I see the numbers are growing steadily on the petition. Carole, you’ve reminded me of a funny video I have to put on the site regarding carrier bags. Prepare to be shocked LOL!